In February, thousands of websites urged their users to help stop web monitoring. The Day We Fight Back, led by American lobby group Demand Progress, condemned NSA Internet surveillance and remembered Aaron Swartz, opponent of the Stop Online Piracy Act (SOPA), who hanged himself last year when faced with fifty years in prison for downloading academic texts. Swartz, from whom courts sought $1m in fines, is synonymous today with US clashes over online justice, but the subject is a global one. Germany, where I moved just before SOPA hit the news, offers a frightening glimpse at what happens when copyright policing trumps privacy. I moved to Berlin in September 2011, as the German Pirate Party won its way into the city state’s assembly. Papers bewildered by this breakthrough named the party, all of whose candidates gained seats, the new rebels in national politics, noting their platform reached young, deprived and disaffected voters. I spent October in a part of town with plenty, renting a cupboardlike room while seeking somewhere longer term. The other tenants, a Barcelonian tour guide and science student from Berlin subletting empty space for cash, already knew each other. Nocturnal, inconsiderate and antisocial, the new kid scared of trying to make friends, I wasn’t a good flatmate, and left amid severe awkwardness. I had, I said, like almost all my friends. Filesharing was in my eyes like speeding on the motorway, an illegality most practised and few cared about. “We all do it”, the Barcelonian said, who seemed to have come reluctantly. This wasn’t quite true. The document he held was an Abmahnung, a razor-edged cease-and-desist letter of German law, which lets lawyers bill recipients for time spent drafting them. The aim is to curb legal costs for poorer plaintiffs, but since other laws allow solicitors to act without instruction, firms monitor the web (often via private companies), posting them en masse to copyright infringers as a profit-making scheme; 500,000 people, reports claim, receive them yearly. Whoever issued one to my flat sought money for themselves – rights holders almost certainly weren’t briefing them. I didn’t know any of this back then. In England, where no such business model thrives, being caught filesharing was unheard of. When I moved there, I had no idea of the German situation, and wasn’t ready for the consequences. Ambushed by ex-flatmates, intimidated and off-balance, I didn’t just sign forms admitting I’d downloaded one major artist’s album – I signed others the scientist handed me stating I’d bootlegged files I hadn’t. These accounted for nine tenths of what I later had to pay — at current exchange rates, close to £2000. The film and record the forms named, presumably, were torrented by someone else in the flat. I’d never heard of them, and with ten minutes to think straight would have realised that – but thinking straight when bombshells land, not least while scanning foreign legalese, is difficult. Half on autopilot, half assuming I knew them by other names, I signed the papers in the bedlam of the moment. “Um ehrlich zu sein”, the scientist said once I realised my mistake, “glaube ich dir nicht.” To be honest, I don’t believe you. If I didn’t pay the four figure sum the Abmahnung called for, the firm behind it would file suit – in which case, he said, he’d forward them what I signed and I should find a lawyer. Had I hired one, I might have been cleared or at least fined less. Specialists can haggle numbers down – typically, says Cologne solicitor Christian Solmecke, “by about half”. The trouble, which led me to pay up, was that this wouldn’t be much better. Abmahnung victims, the Pirate Party states, are often “seriously intimidated”. A court case at the best of times is hard — this was my year out as a language student, my German was nowhere near strong enough, and the thought terrified me. Inflated study grants for life abroad arrived, by chance, just as the crisis hit, and my finances were fortunately healthy even after paying out, but a lawyer wouldn’t have been cheap. Solmecke’s firm charges €400-500 to represent its clients (£300-413), seemingly a mainstream rate, and legal bills stack up. Others pay for honest oversights. Pensioners Lydia and Heinz Paffrath, who sold their grandchildren’s old toys for them on eBay, were charged over €650 when they accidentally advertised a doll’s wardrobe under the wrong brand name. Canadian exchange student Nina Arbabzadeh, visiting Berlin in 2012, was billed €1200 for downloading Frank Ocean’s Channel Orange, which neither she nor her flatmate had done. A visitor who had, they guessed, had used their wireless with torrent software left on. “If you’ve nothing to hide, you’ve got nothing to fear”, the snooper’s mantra goes, but it’s more and more impossible to know what will and won’t be punished. Last July, a Hamburg court capped sums ordered of downloaders at €150, a measure lauded by the press and praised by local activist Anneke Voss as curbing “the Abmahnung industry’s shameless excesses”. The federal Law Against Dubious Business Practices followed in October, applying an admittedly less helpful €1000 limit nationwide. It didn’t stop the biggest wave of Abmahnungen in history, more than 30,000 people getting them in one December week who’d visited RedTube.com, an adult site whose pornographic clips – some, under copyright, uploaded by third parties – are streamed like YouTube videos. This isn’t even filesharing — users are made to pay up or face a legal fight simply for viewing web pages. It doesn’t matter that the case against them is a flimsy one. Costs plunge many in to crisis even if they win. Torrenters may not be protected either, as the new law waives its cap on fines “if the stated value [lost to rights holders], according to the individual case’s own circumstances, is considerable”. No one knows yet what this means in practice – a lengthy period of wrangling is expected to ensue – but vested interests will no doubt defend their moneymaking prospects. British and US laws give firms less room to act like this, but it’s clear to those who care that Germany’s status quo is less a triumph of fair play or honesty than a toxic cocktail of profiteering and surveillance. It’s easy to see, post-Swartz and post-Wikileaks, how the assault on piracy might lead down such a road. If it does, the world will be dragged with it. SOPA, which threatened the wholesale existence of media platforms like YouTube, Flickr and Vimeo, was meant to take worldwide effect. Officials opted to “postpone consideration of the legislation until there is wider agreement”, shelving rather than scrapping the proposals. The act, or the prospect of one like it, still hangs over us. Even that may not be needed. In David Cameron’s Britain, where service providers were ordered last year to block video-sharing sites, the Big Society ideals of web-policing and privatised justice could produce a German style free-for-all if left to run their course. The internet was made for instant data replication – in other words, for filesharing. Copyright laws weren’t passed with it in mind. On social media this week, you’ve likely witnessed dozens of infringements – photos, gifs, videos, quotations. 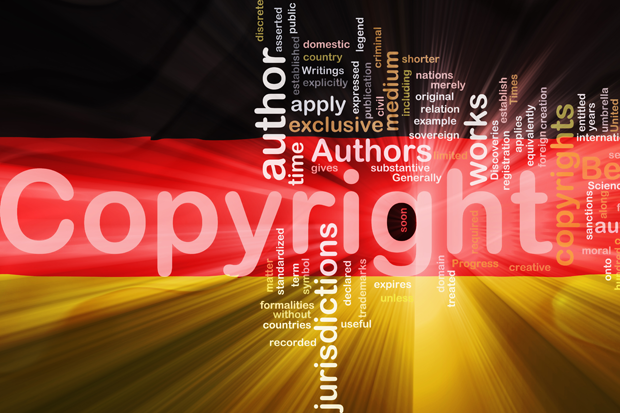 Clampdowns on piracy, as the German system demonstrates, attack the core idea of the net, scapegoating users for new technology’s inescapable impact. Rights protection has its place, but must be reformed. A wonderfully written piece about this outrageous issue. I myself was targeted by ‘Waldorf Frommer’ with an Abmahnung last year in Munich, after some very mild and infrequent torrenting during a long internship. The letter demanded €1000 and named just one music album (owned by Sony Music Entertainment – avoid!! ), but it was clear that they knew about everything, and that there was more where that came from. It was disgusting; without warning or room to negotiate, they gave me a week to cough up the money or else be taken to court. As an otherwise upstanding young citizen scraping by in an hellishly expensive city, this was a kick in the teeth, and a death sentence to my internship and near-future prospects whether I decided to pay or not. This is a horrendous situation.Thank you for highlighting it.